See our new How To Configure and Order a Perfusion System for guided assistance! Avoid vibrations from switching liquids by hand. Use a ValveBank® or ValveLink8.2® controller for solution delivery so that you can watch results – not switch stopcocks. 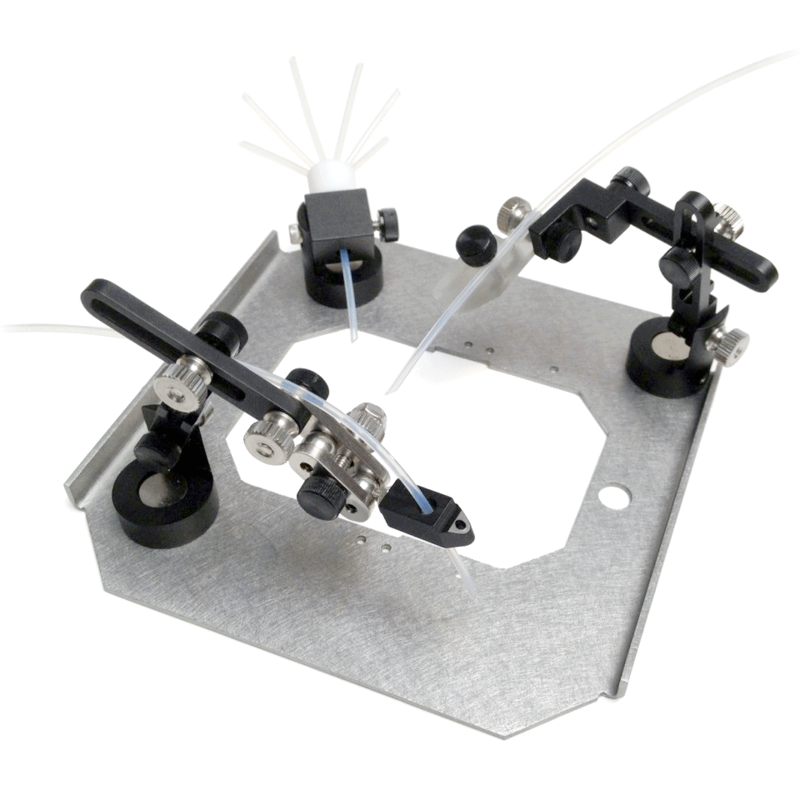 Many special features are included for easy perfusion control and low noise circuitry. All components are included for a complete, ready-to-use perfusion system. Consistent liquid delivery means better data. The new AutoMate Scientific ValveLink8.2 is ten times faster than before, with one millisecond switching and new valve and spill protection. 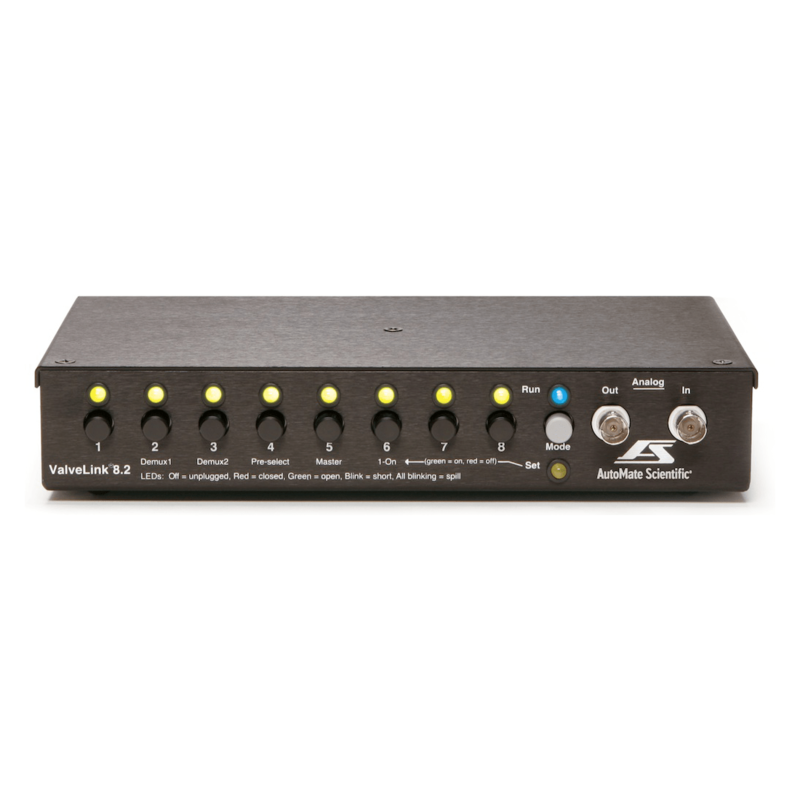 We’ve added USB and analog inputs along with an event marker, all in a smaller box at the same price. Interface easily with your computer using data acquisition hardware and software (i.e., pCLAMP, Patchmaster, LabView, etc.) or switch solutions manually. Behind every great perfusion system is a reliable valve controller. By running experiments automatically, ValveBank controllers will leave you free to accomplish other tasks – saving you time and money. The ValveBank stores user programs up to 99 hours long with ten millisecond switching accuracy. You can always switch valves manually or under computer control from your data acquisition software. 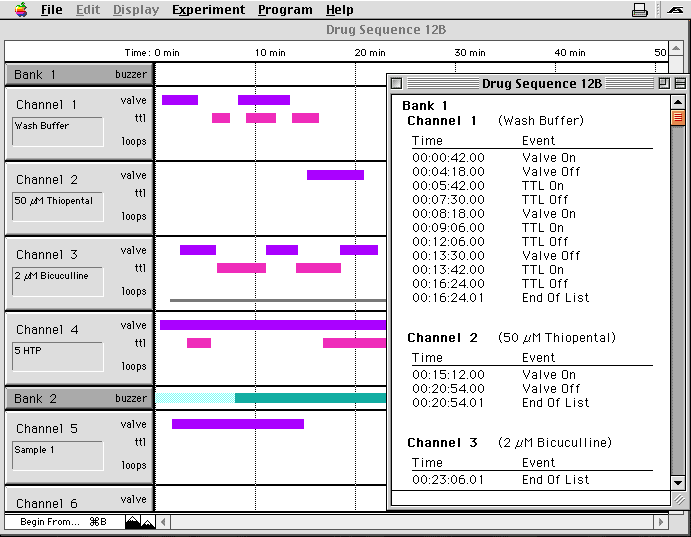 Program up to sixteen channels of valves and digital outputs on your ValveBank with a Macintosh or PC using easy ‘click-and-drag’ time bars. 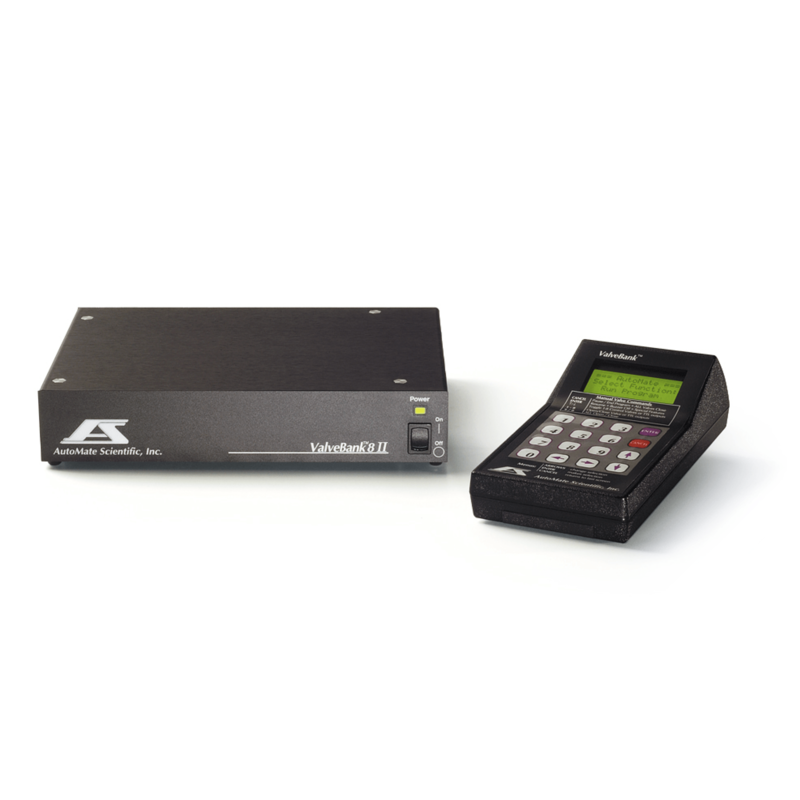 Save and load unlimited programs to disk, print out program listings, then download your sequences into the ValveBank’s memory with the included serial cable in one simple step. Automated patch clamping has never been so easy. 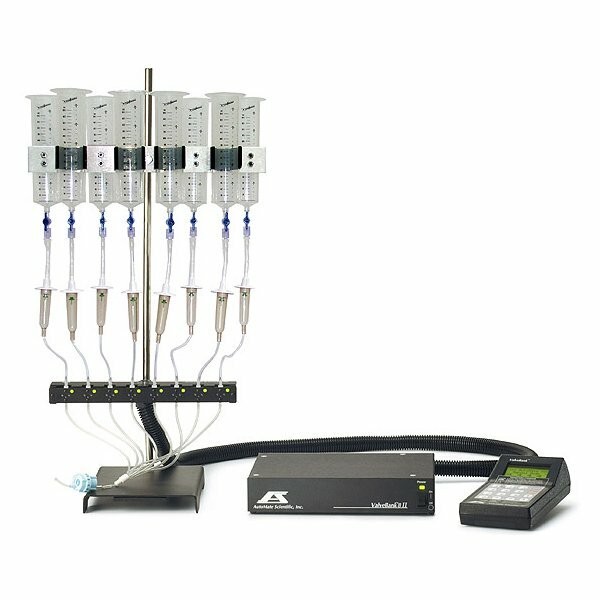 AutoMate Scientific offers an assortment of valves and fittings for any rig and budget. Order mini Lee® valves for fast kinetics applications, PTFE inert valves for excellent chemical and corrosion resistance, or choose pinch valves for lower cost and easy cleaning. 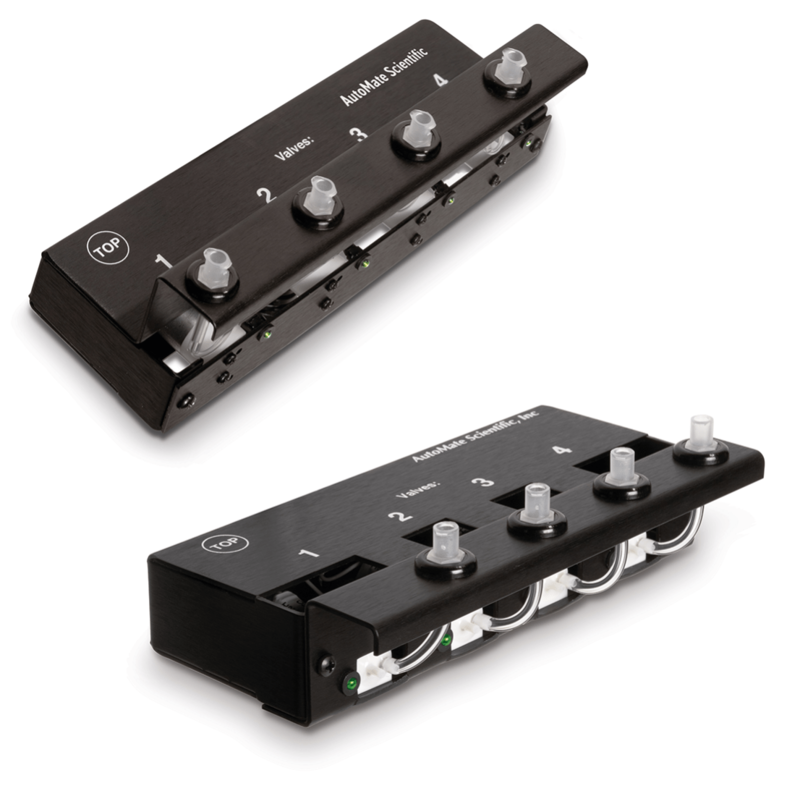 All AutoMate Scientific valves include an individual indicator LED and unique case to protect them from spills. 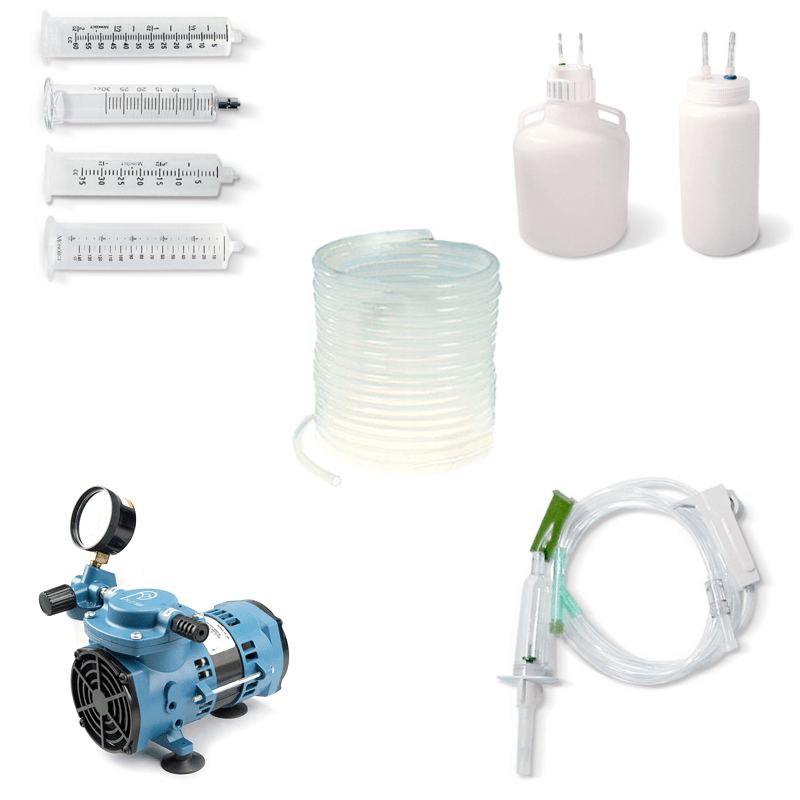 Save time by purchasing disposable perfusion accessories from one source: BNC cables, drip chambers, flow regulators, manifolds and syringes to complete your system. 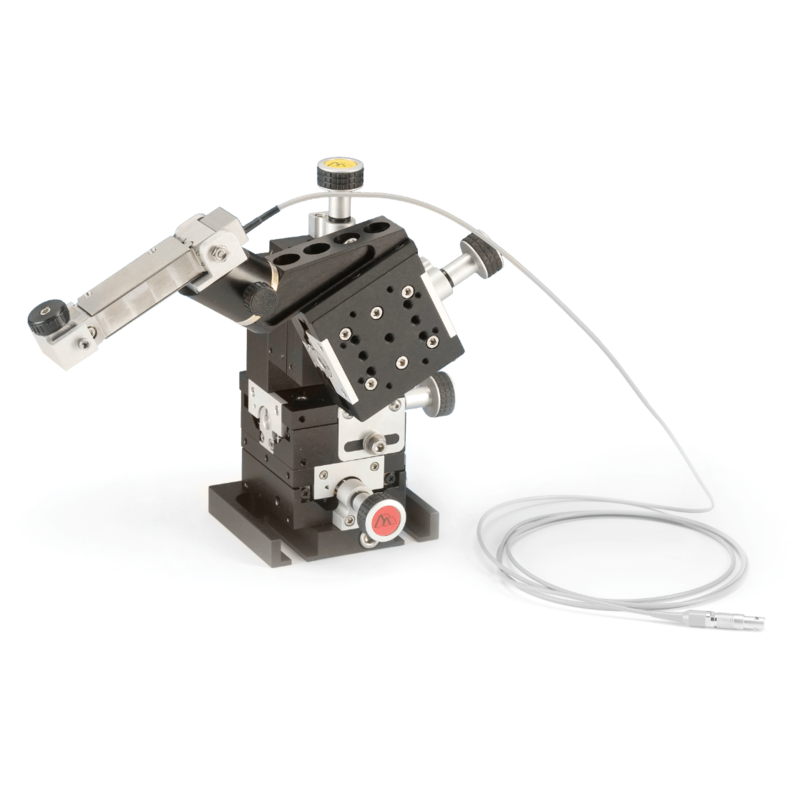 Additional AutoMate Scientific accessories include micro-manifolds, pressurized reservoir bottles and tubing. Piezoelectric ultrafast solution switching systems can change the chemical environment of a whole cell or excised patch with sub-millisecond time resolution. Uncover the actual kinetics of ion channels, reconstruct the naturally occurring conditions at the synapse of a neuron, and eliminate the problem of desensitization resulting from longer time exposures to a drug in pharmacological studies.